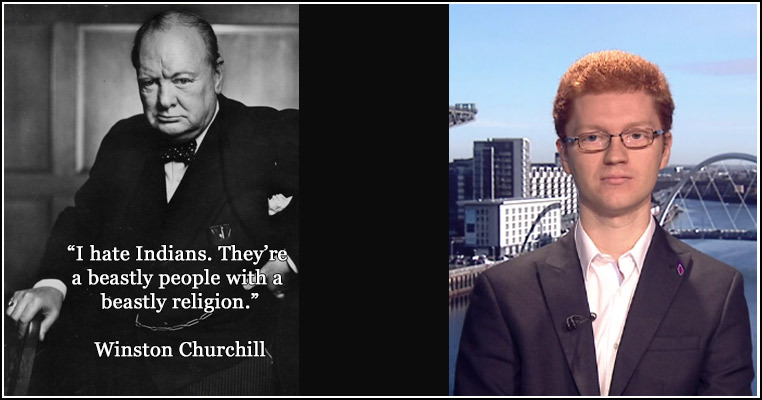 Last week a Member of the Scottish Parliament (MSP) said something that British politicians rarely do: call out Winston Churchill's racism. And then it got more interesting. The tweet went viral and attracted the attention of the odious TV presenter Piers Morgan, who asked him nicely to come on his show. Just off with your producer getting this sorted. "The problem is that these points of view that have been long held, long held, since Churchill did things to these communities, have not been allowed to get out because the prevailing narrative is of a war hero you cannot speak ill of. He is a complex character and we have to start being honest about our own history. That attracted the attention of another buffoon: foreign secretary Jeremy Hunt. In fact all of this is true. The BBC reported that Winston Churchill reportedly said in 1937: "I do not admit for instance, that a great wrong has been done to the Red Indians of America or the black people of Australia. I do not admit that a wrong has been done to these people by the fact that a stronger race, a higher-grade race, a more worldly wise race to put it that way, has come in and taken their place." Churchill is also blamed for doing nothing during the Bengal Famine of 1943, in which an estimated 3 million people died. He forced India to export its rice and forced other foodstuff to come to the UK instead of feeding starving people. John Charmley, author of 'Churchill: The End of Glory', told the BBC: "We have this image of Churchill being far-sighted and prophetic. But what he does tragically in the case of the Bengal famine is show absolutely zero advance [since] the Irish famine 100 years earlier."